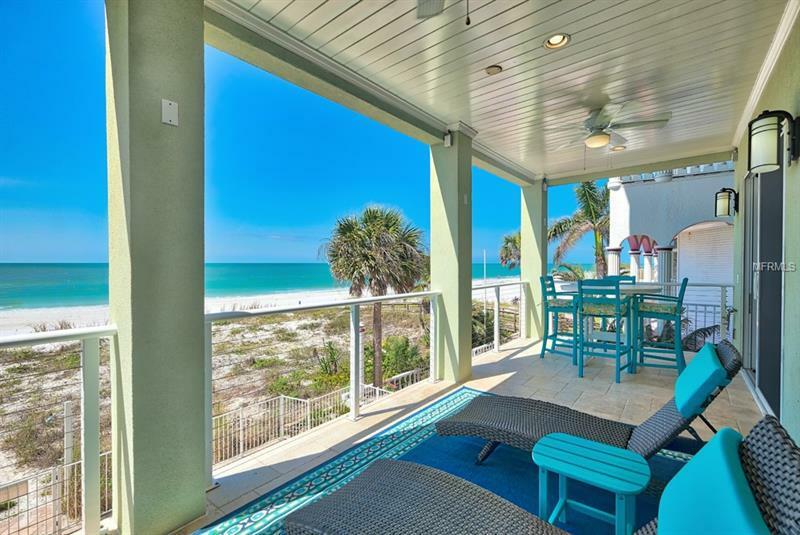 The next best thing to having a Single Family Home on the Beach! 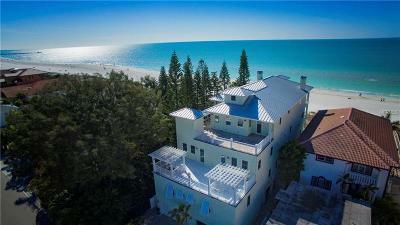 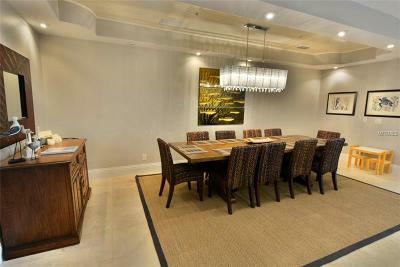 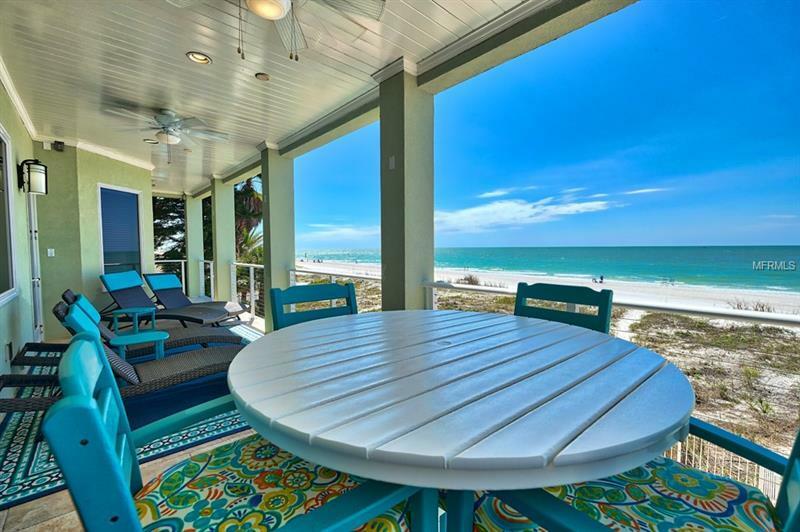 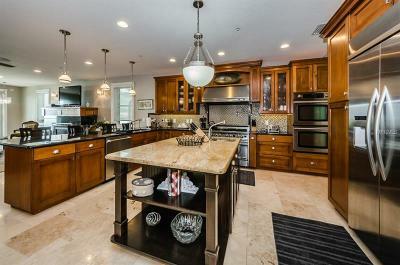 1 of only 2 homes under the roof of this Key West styled charmer built in 2009. 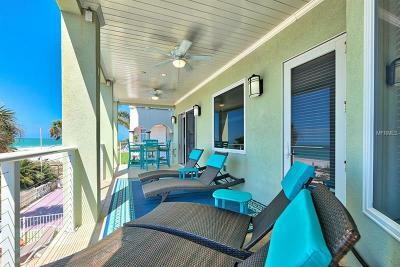 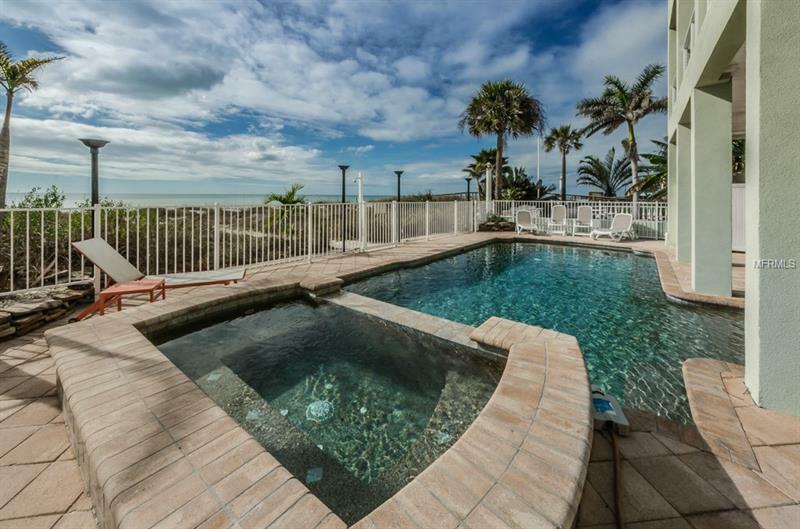 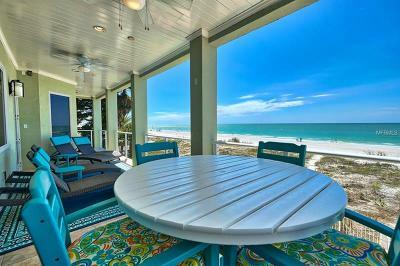 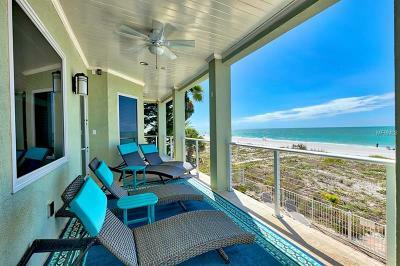 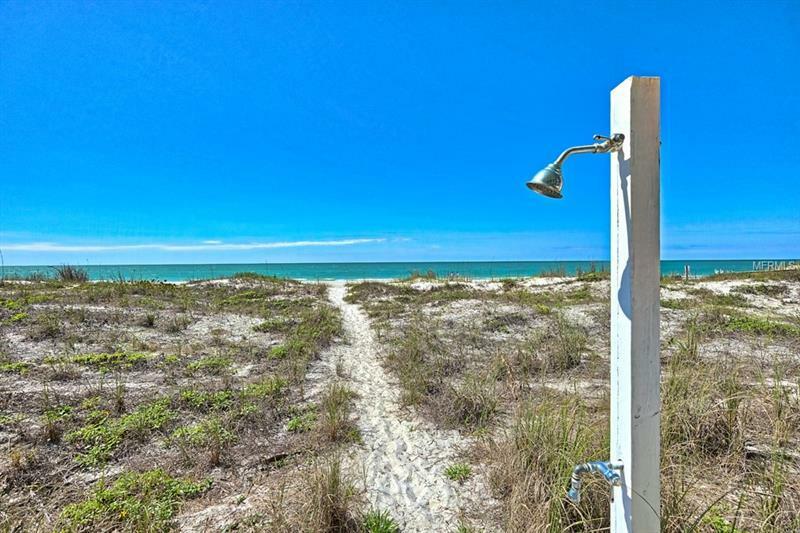 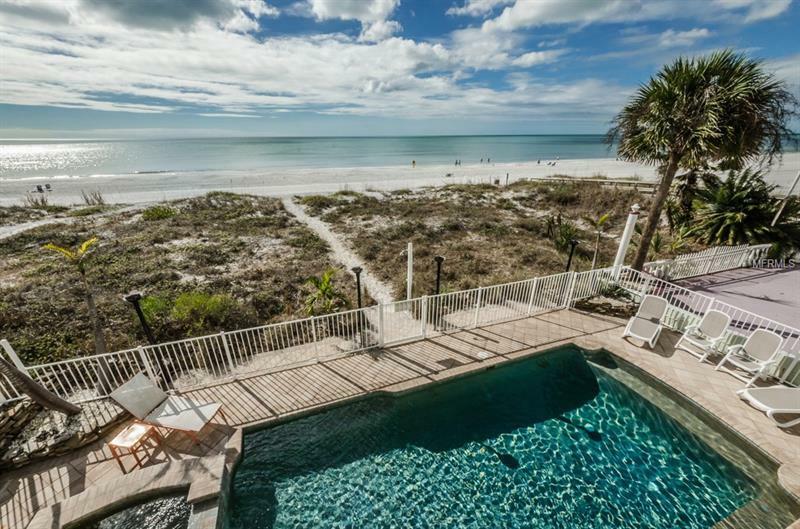 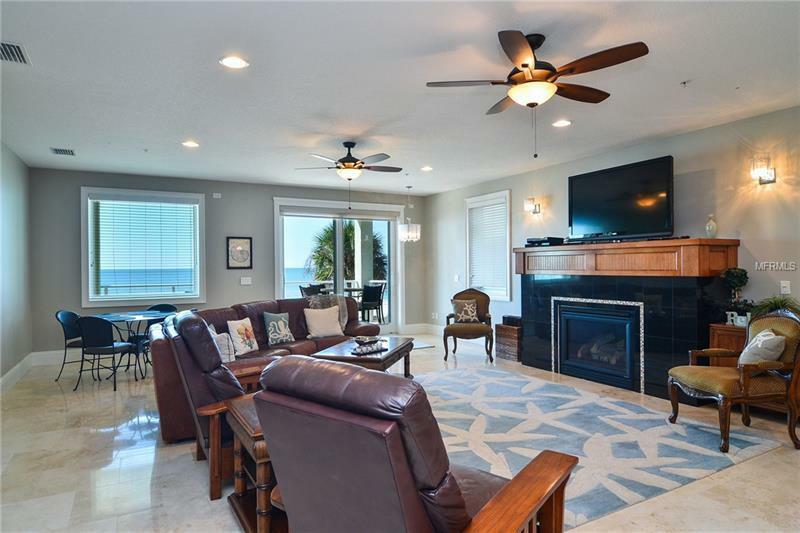 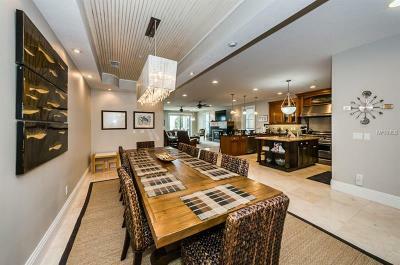 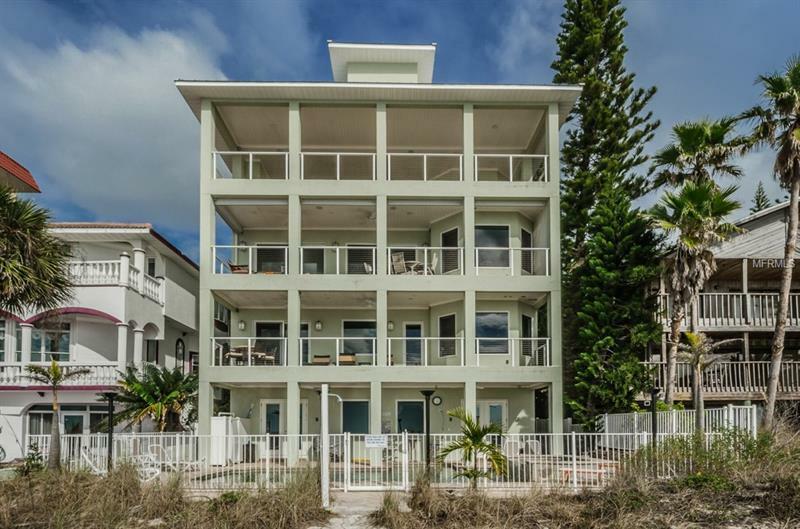 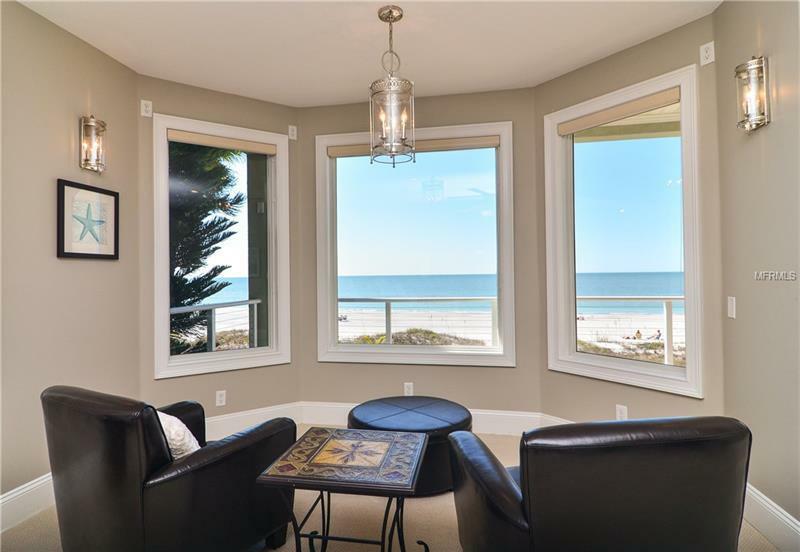 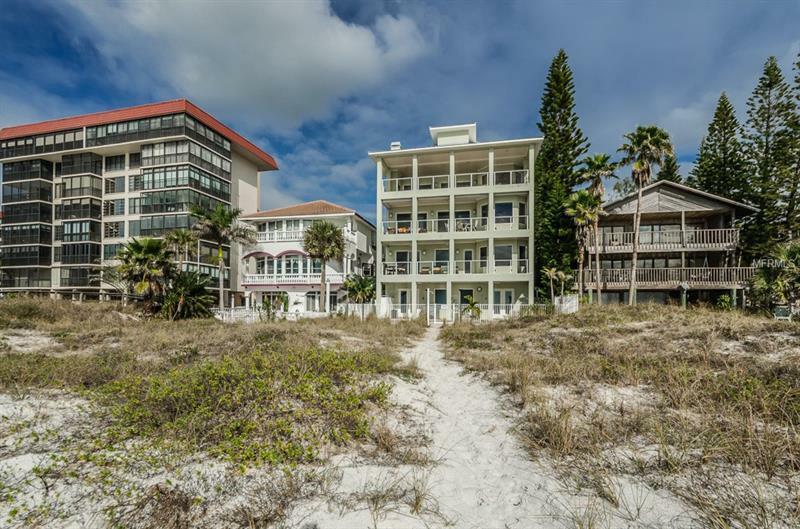 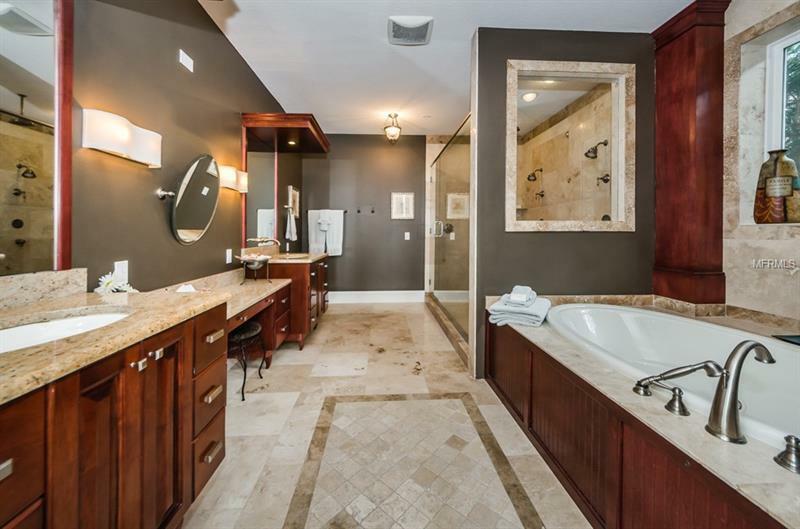 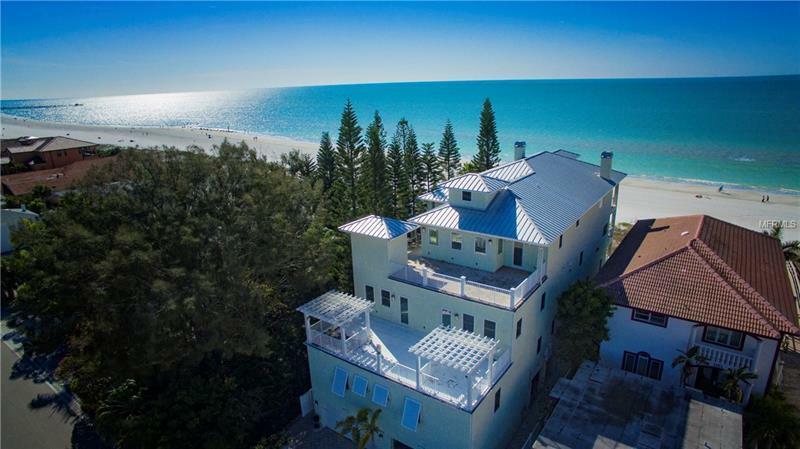 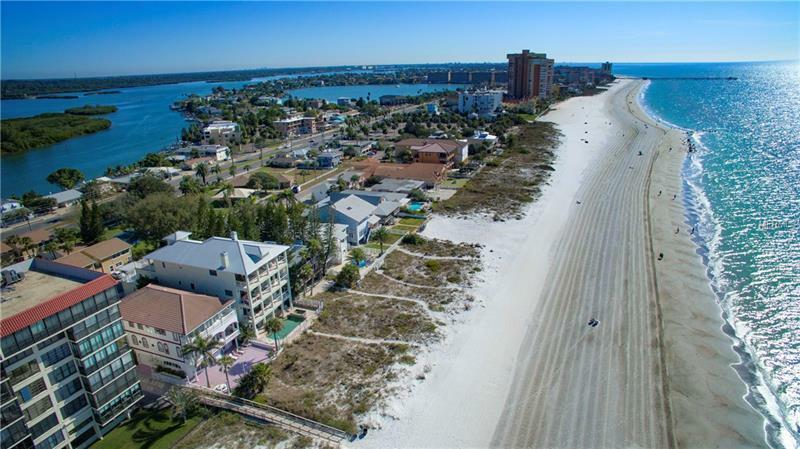 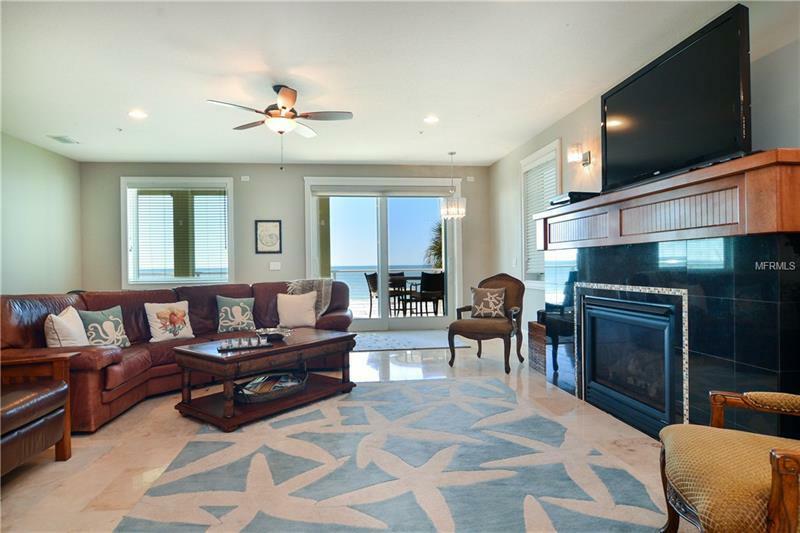 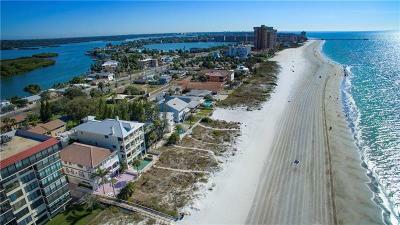 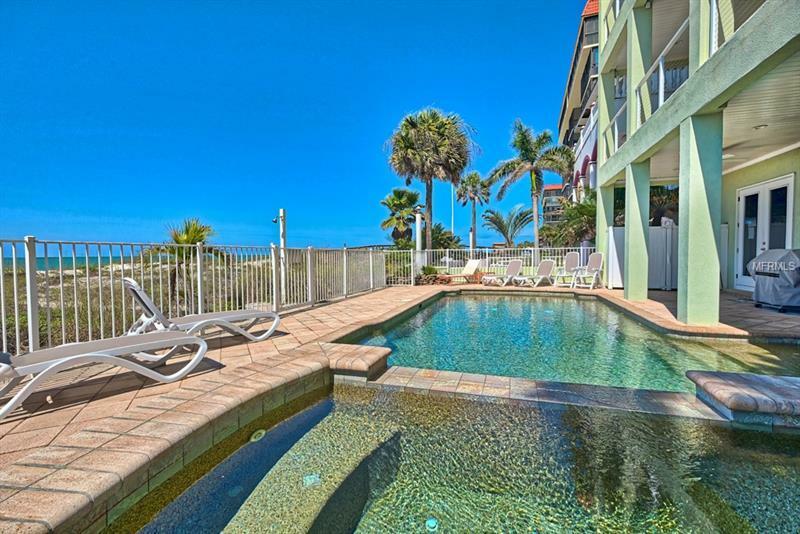 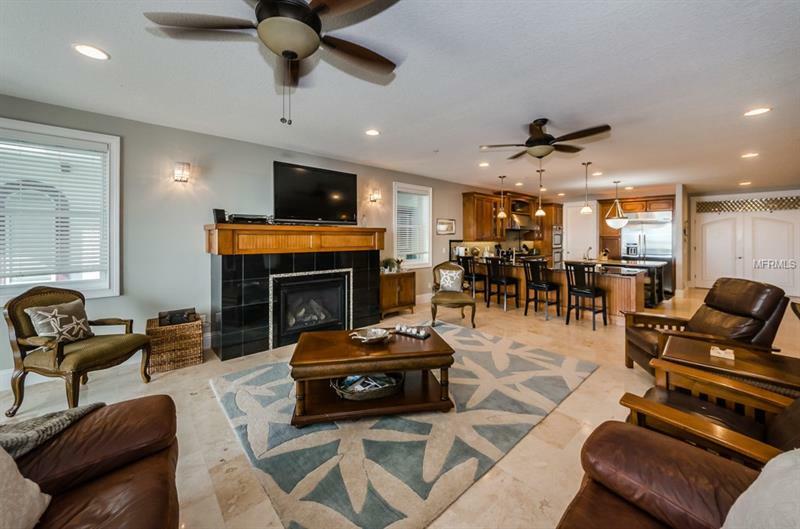 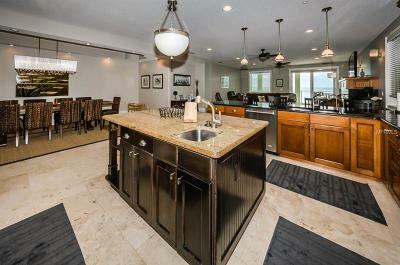 Spaciously designed beach home offers 4 Bedrooms and 5 Full Baths with just over 3900 sq.ft. 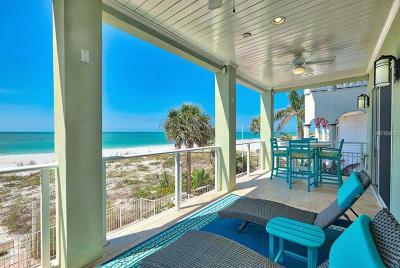 of living space. 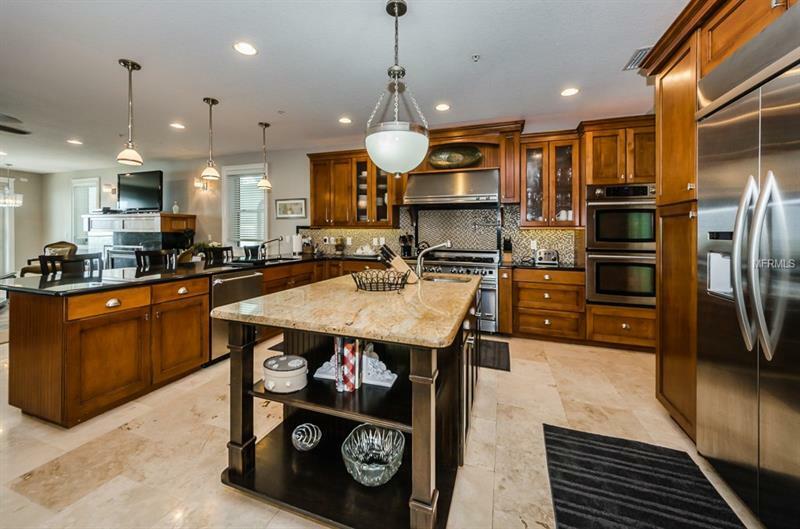 You will not be disappointed with the gourmet kitchen that has a large island with a bar sink just perfect for prepping those great family meals, a large gas range, built in Kitchen Aide refrigerator, breakfast bar and a butler pantry for extra storage. 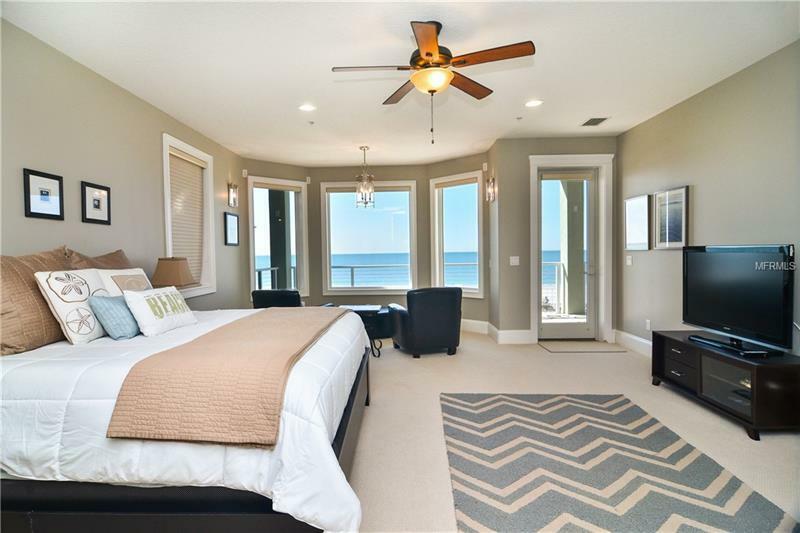 The luxurious Master Suite faces the Gulf of Mexico and offers a separate seating area to enjoy the views with access to the beach front terrace. 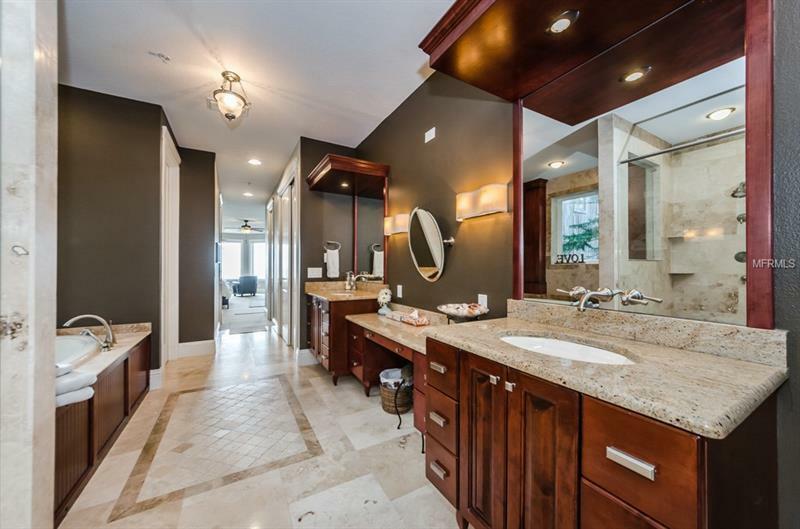 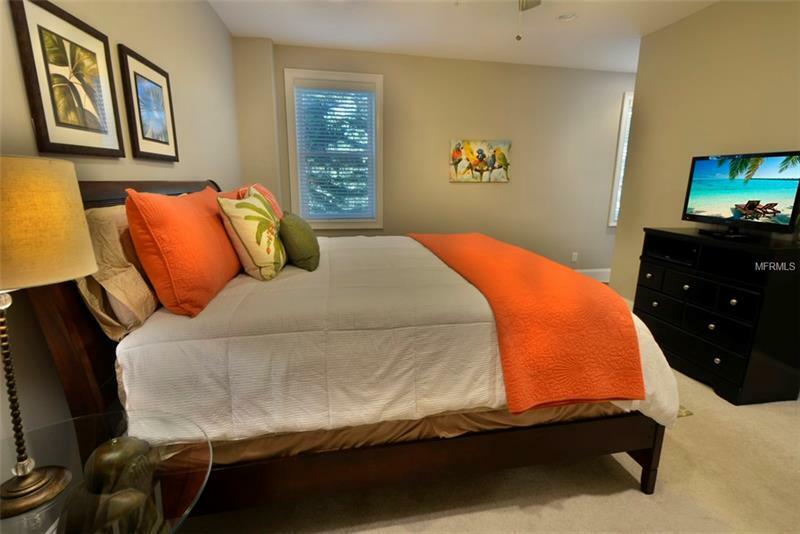 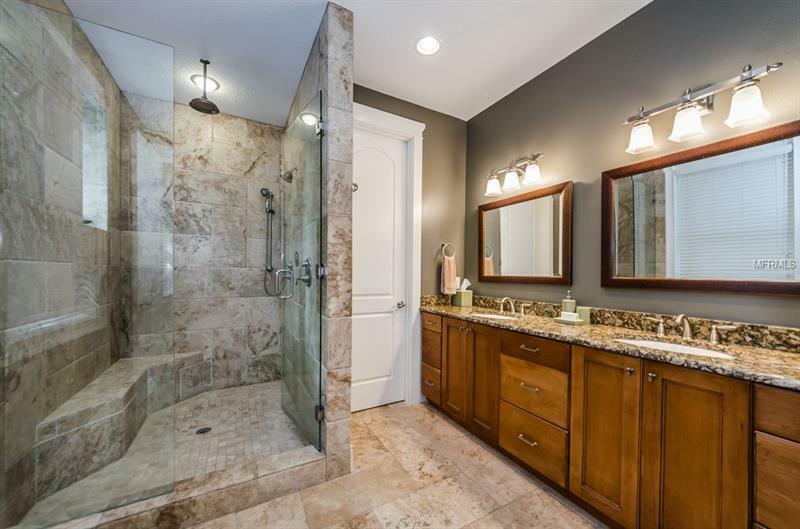 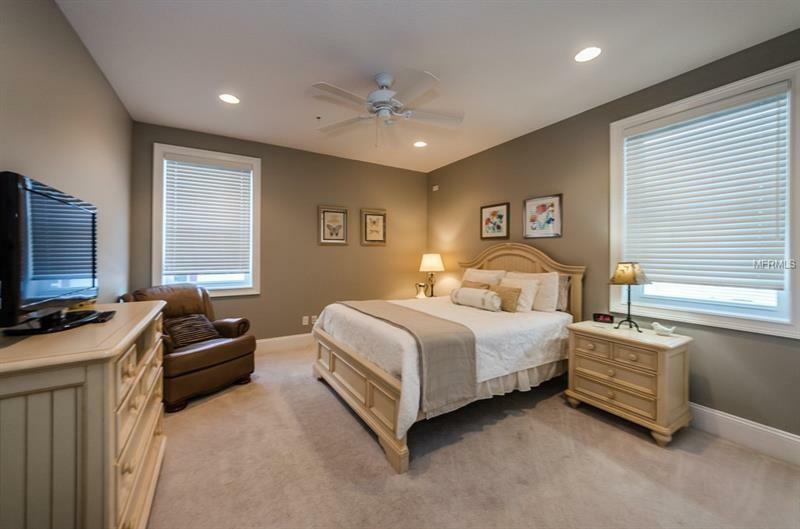 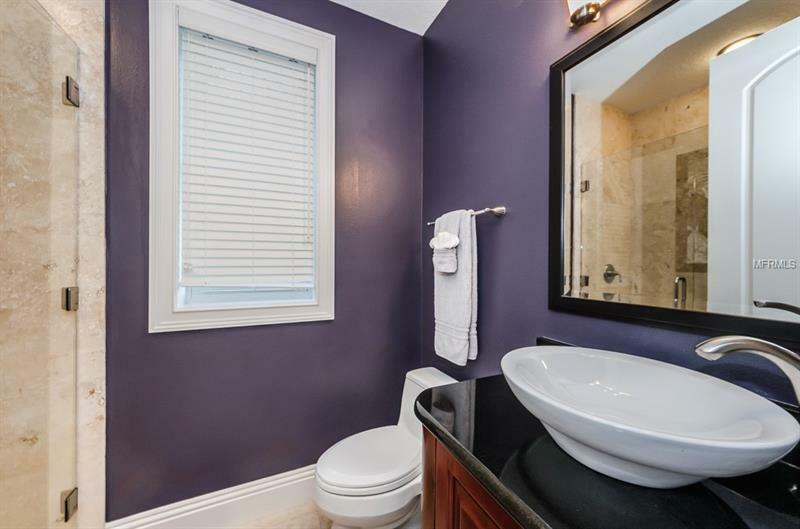 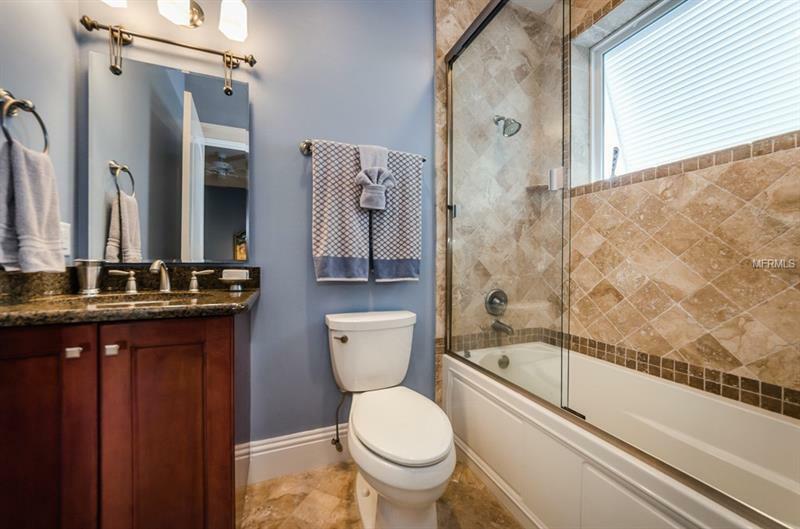 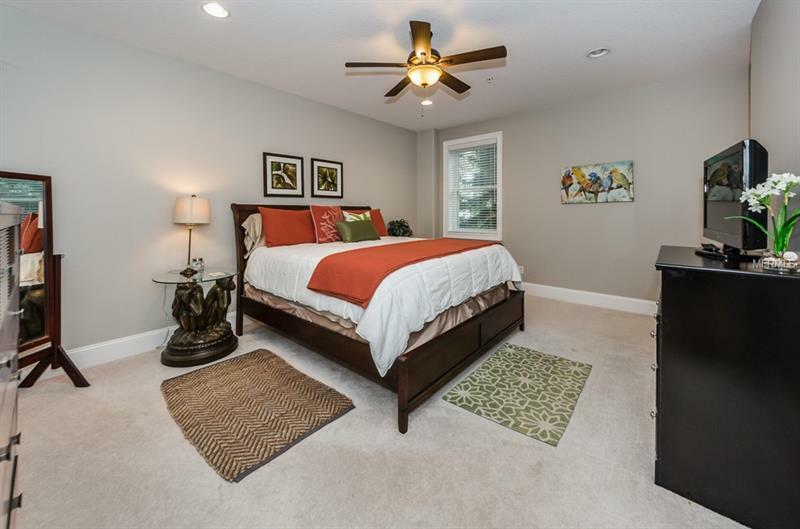 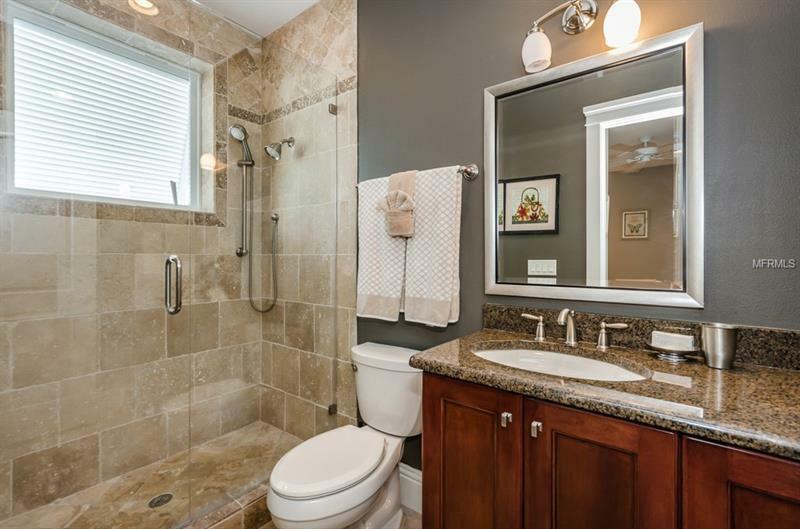 Offering two walk in closets, linen closet, separate water closet, Dual vanities, enormous walk in shower with separate spa tub. 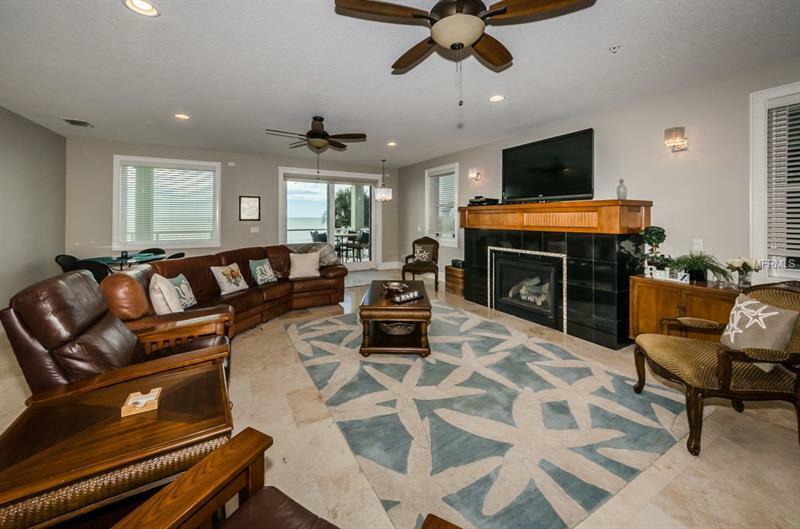 The large living area offers a gas fireplace for the occasional cool winter nights. 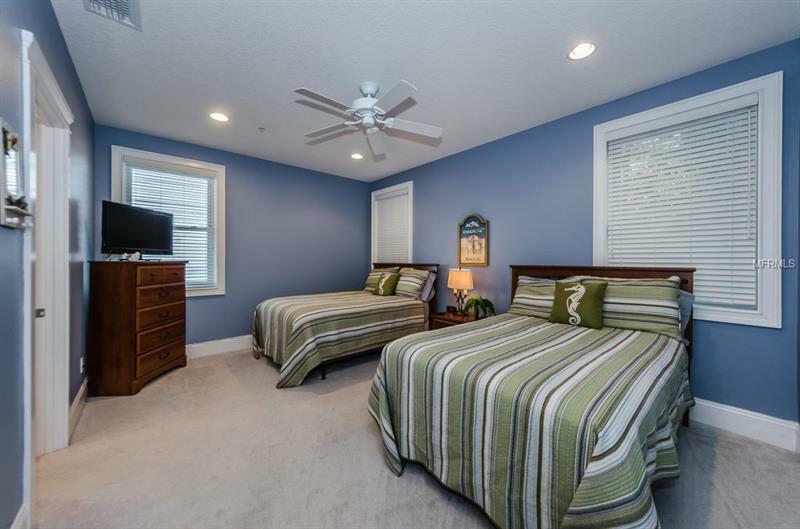 All guest suites are en-suite and are perfect for large families or lots of friends for a weekend on the beach! 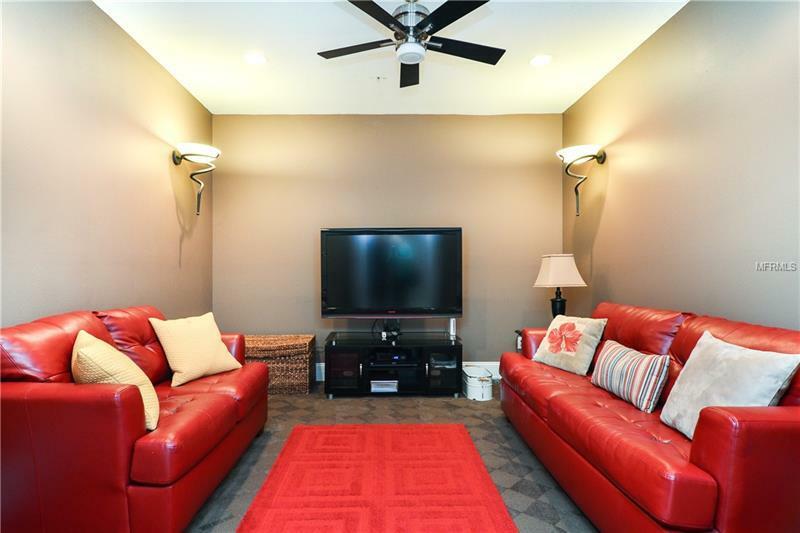 If all of this is not enough, Sonset Place also offers an oversized garage Room for 2 to 3 cars in the garage and 2 in the driveway!